We have been developing our knowledge of local property markets since 2002, offering a specialist, fixed fee conveyancing service. If you are considering buying or selling property in Cardiff, you must instruct a lawyer to complete the legal work on your behalf. 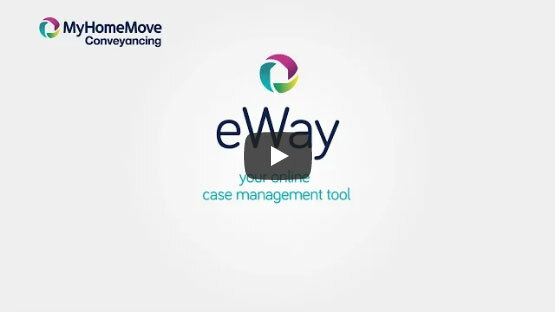 My Home Move Conveyancing offers award winning customer service and innovative use of technology. Our conveyancing service is fixed fee, so you’re aware of how much you’ll be paying from the beginning, with no extra charges or hidden fees to worry about. If you don’t end up moving for whatever reason, you will not pay us anything. As soon as we start working with you, you’ll be assigned a dedicated conveyancer who will oversee everything. They will look after all aspects of your case from start to finish and provide regular updates on the progress. We can provide conveyancing services for homebuyers across Cardiff, from student-heavy Cathays to the affordable Riverside area, and up-and-coming Grangetown to affluent Pontcanna. The average house price in Cardiff is £154,549. Last year terraced properties were the most popular in terms of sales, fetching an average of £183,292. A similar amount of flats and semi-detached properties were sold, for an average of £140,457 and £216,172 respectively, while detached properties went for an average of £353,218. Cardiff is a major centre of business, commerce, media and politics, and offers plenty of attractions that draw both residents and visitors. Cardiff Castle, the Wales Millennium Centre and the National Museum and Gallery of Wales are all popular spots, while the city is known for having a buzzing nightlife and staging first class sporting events. There are four higher education institutions in the city, including Cardiff University and Cardiff Metropolitan University. For families with younger children, there is a blend of bilingual, English and Welsh speaking schools to choose from, including St John’s College, Howell’s School, Whitchurch High School and Ysgol Gyfun Gymraeg Glantaf. As expected of a capital city, Cardiff is well connected when it comes to transport, with Wales’ only international airport found approximately 10 miles from the city centre. There is a comprehensive bus network while Cardiff Central railway station is the country’s largest and busiest train station. The city is also served by three junctions on the M4 motorway, which heads west to Swansea, and Bristol, Reading and London to the east. All properties in Cardiff will fall within one of the following council tax bands.